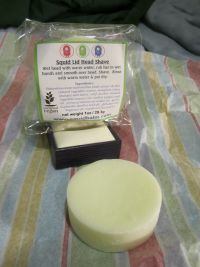 At the beginning of the month, I mentioned receiving a new product called Squid Lid Head Shave bar. I've been using it for much of the past few weeks, and the full Squid Lid review is now available on HeadShaver.org. Just want the high notes? Squid Lid is a comfortable lotion-style shaving cream that provides good lubrication and great skin protection, all the while smelling good and not gunking up your razor! It's a great product, and I recommend giving it a try if you're in the market for something luxurious at a reasonable price. Also, if you're into stuff that's certified vegan and cruelty-free, this'll fit the bill. For fun, I searched Facebook with the phrase "shave head". This produced a huge number of pages wherein the page creator promises to shave their (or someone else's) head if the group gets a certain number of 'likes'. 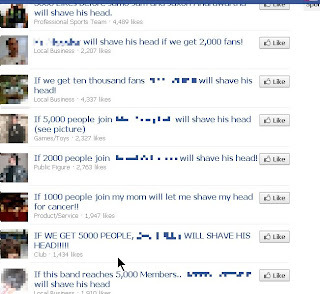 The number of 'likes' required to trigger a head shave varies quite a bit. I saw one page that was requesting 100,000 likes. On the other end of the spectrum, another page was only looking for 75 likes. All of the pages I came across seemed to be joke pages, and nobody seems serious about following through. 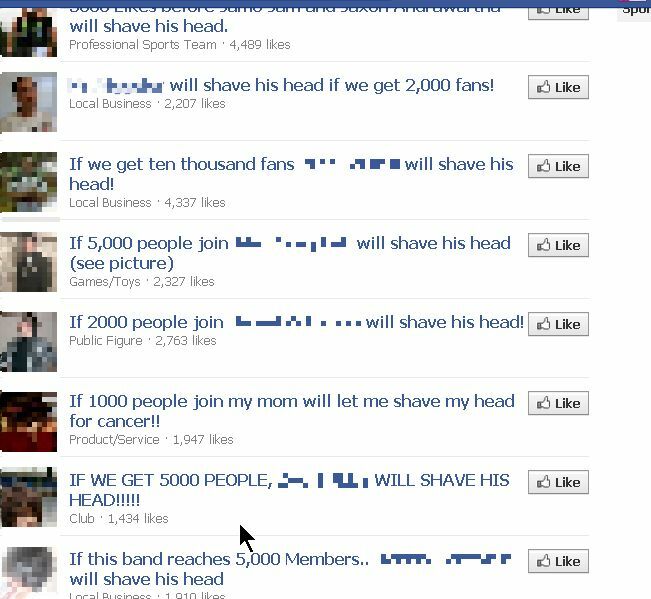 Granted, I only checked out a few, most of which hadn't reached their targets, but even those who had met their goals (like this page, or this one, or the '75 likes' one lined previously) show no evidence of actually having shaved anyone's head. Plenty of celebrities have shaved their heads over the years, for movie roles or just for the heck of it. 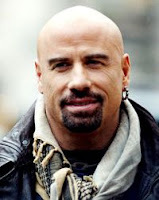 In the past several years, for instance, both John Travolta and Jeff Bridges have gone for the completely bald look for film roles (Travolta in From Paris With Love, Bridges in Iron Man). 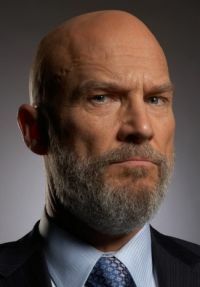 Jeff Bridges in particular is an actor I associate with long hair, but I thought he looked fantastic playing the villain opposite Robert Downey Jr.
Granted, I'm a bit biased, but I think the bald look would suit a lot of folks who haven't gone that route. Sometimes, you wonder how a particular celebrity might look if they shaved their heads, but there's really no way to tell until they do it, right? Don't be silly! This is the Internet, after all, and whatever curiosity we have, there's someone out there to help satisfy it. In this case, you can go to Balderazzi.com and check out their Virtual Head shaving for celebrities gallery for your education and entertainment. The site is run by the same gentleman who runs the Baldly Go website - he's offered a virtual head-shaving service for many years. So now, if you want to know how Barack Obama, Angelina Jolie, Sarah Palin, or Stephen Colbert might look with shaved heads, you know where to go. There are around 100 celebs who have been balderized at present. Gizmodo had a short article a little while back about the origins of the electric shaver. It all starts with mining in the Alaskan wilderness. It's 40-below, so you have to collect ice and then melt it. Then you have to hurry the heck up before your face freezes. And if you sprain your ankle during your time in the north country? You have a lot of time to think about a better way to shave your face. That's how retired U.S. Army Lieutenant Colonel Jacob Schick (yep, that Schick) came up with the idea for the electric razor. 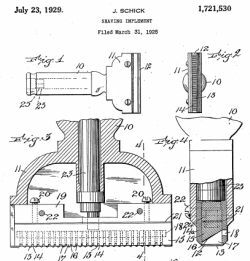 The article includes a link to an original patent drawing of Schick's invention, which is pretty cool. The first electric shavers that Schick sold in 1929 were $25. Based on changes in the consumer price index, that's worth around $320 in 2010 dollars, but the relative cost compared to overall income could be equivalent to over $1000 for an average production worker (according to the Measuring Worth website). Whichever way you slice it, it represented a large capital outlay. Despite the price, the electric shaver sold rather well. 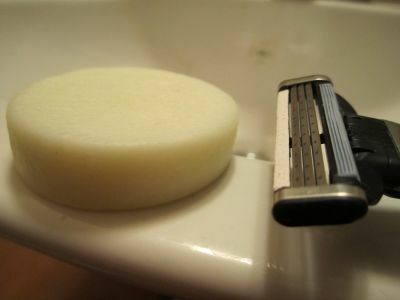 Nevertheless, Schick sold more than 3,000 electric razors the first year. [...] By 1937 he had sold almost two million. These days, you can only get Schick electric shavers as a vintage item, of course - if you want to buy one, eBay or antique sites are your best bet. Deborah from Squid Balm was kind enough to send me a sample of their Squid Lid head shave bar. It's a solid bar, which forms a thin, slick layer of lotion for shaving. Directions are simple: after you've wet your head, rub the shave bar in your wet hands until you've got a little oil/lotion in your hand, and then rub the lotion over your scalp. Then you shave! If the lotion dries up at all, just run your moist hand over your scalp to 'refresh' it. Afterwards, a standard rinse and you're ready to go. According to their website, Squid Balm products are certified Vegan and cruelty-free. As a little side bonus, since it's a solid, you don't have to put it in a zip-lock back if you're going through a TSA checkpoint. I just received the sample today, but I've already used it for one shave. So far, it's very promising. Shaving with a Mach 3, it didn't provide as much lubrication as the shaving oils I normally use - in fact, the razor squeaked a bit as I shaved. It did a great job with irritation and nicks - my skin felt very comfortable throughout the shave and afterwards. The shave bar has a pleasant scent that's not overpowering, and applying the lotion to the scalp was easy and pleasant. Overall, I'm looking forward to using Squid Lid more; it seems like a very solid product. Once I've used it for a while with a couple of different razors, I'll post a more complete review to the main HeadShaver.org reviews section. Cold up top? Not so much. So, I'm sure you've heard it said that we lose most of the heat from our bodies through our heads, right? It's one of those things that I've heard cited many times over the years, the type of thing that I've accepted uncritically and even said to other people. In fact, until recently, I had it on the FAQ page of my website. But, like many little nuggets of information we carry around with us from day to day, this one doesn't stand up to scrutiny. Reader Sam Kauffman kindly sent me links to a couple of website ("Scientists debunk the myth that you lose most heat through your head" and "Do You Lose Most Of Your Heat Through Your Head?") that nicely clear the air on those subjects. Pete Levin's Take It From The Head website offers something I haven't seen before: a gigantic photo gallery of clean-shaven musicians containing over 1600 photos. This gallery isn't about celebrity or music style; it's about hair - or rather, no hair. Cleanhead! So it's an alphabetical list of musicians who shave their heads. Nobody's featured; Seal, Michael Stipe, Jimmy Cliff and Isaac Hayes are right in there with hundreds of guys you never heard of. It's a nice collection of photos, and each has a link back to the musician's website or myspace page. As a musical hobbiest myself, I'm naturally drawn to the idea.